started in karaikudi.before it was known as maruthupandiyar transport corporation.but now it is Tnstc -karaikudi which is branch of kumbakonam transport corporation. 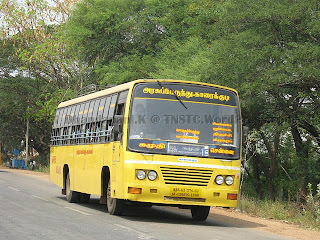 In sivagangai district it is the only transport corporation.It has several branches namely at tirupattur,devakottai,sivagangai.The head office is at karaikudi. 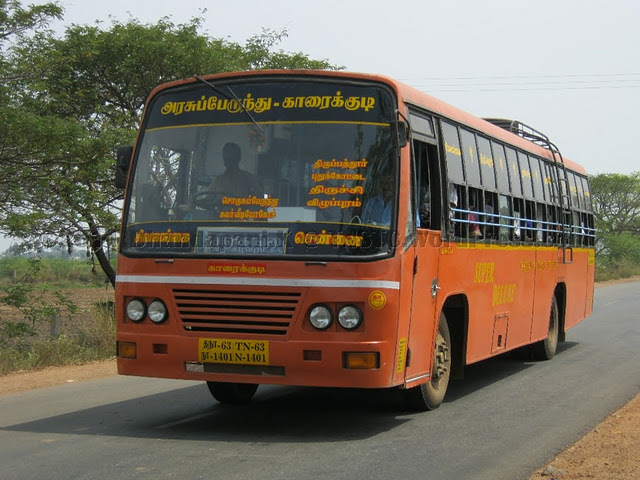 Approximately 650 buses are under karaikudi branch.There are 11 depots under karaikudi branch.As for is public is concerned the number of the buses can be increased to meet the growing needs. There are frequent buses to trichy,madurai,pudukottai.Most of the buses to chennai are available in the night time. 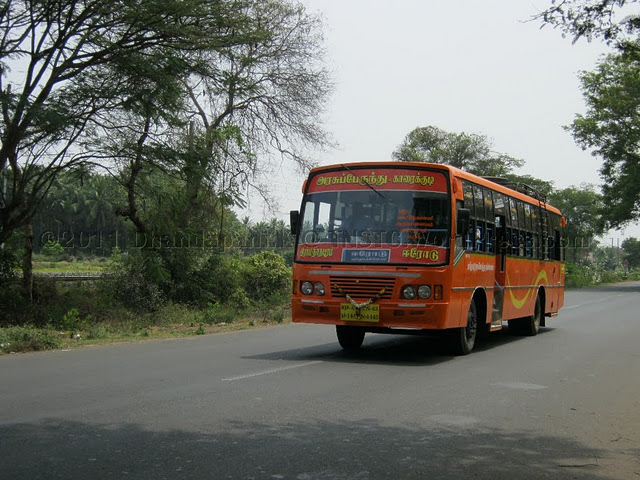 Travellers to ramesvaram can board the buses from trichy or karaikudi.There are frequent buses to rameshvaram as it is a temple town.As per the gonernment order the setc buses in karaikudi is increased and seperate workshop is planned to be built in karaikudi for the buses from karaikudi to chennai and coimbatore.